Hannes Soomer will be competing with the racing suit of the Czech producer 4SR in World SSP starting from 2019. 4SR is the Czech producer of functional and safe motorcycle riding gear. Several world class racers take part in the product development and starting with the current season, the Estonian World SSP rider Hannes Soomer is one of them. 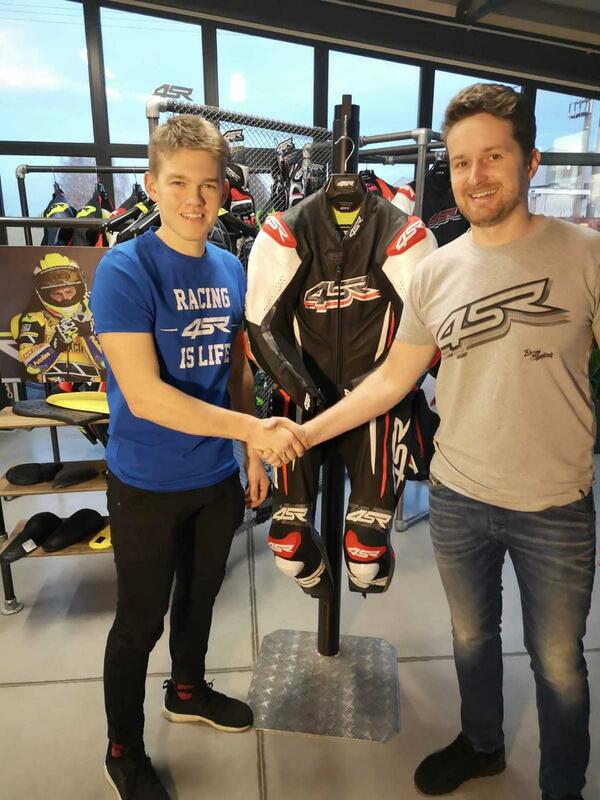 „We are glad that Hannes will be using the 4SR suit,“ said Marko Rohtlaan, the manager of the 4SR Estonian reseller Vihur Motosport. Vihur Motosport has been using the 4SR equipment in their racing team and is very satisfied with the products. „The 4SR suit is the first one in my long career that did not need riding in, instead it fit like a glove the first time around. All the members of our team are also very satisfied with 4SR, even the ones that crash more frequently,“ Rohtlaan told. Safety and durability are two important keywords that characterize the 4SR apparel. For example, the company uses the stronger cowhide in the most critical places, the places that need more flexibility veal and sheepskin is used. „You can crash several times with the same suit,“ Rohtlaan said – this is one more advantage for the already reasonably priced products. The 4SR racing apparel meets the strictest safety requirements. One of the peculiarities is that the suits for both the street rider and the top racer are produced using the same materials and technologies. In 2019 Hannes Soomer participates in the FIM World Supersport Championship with the Racedays Honda team. The first round of the championship will be held on February 23 in Australia.